Home/General/Beat the cold this Winter! As those chilly winter months start creeping up on us – probably sooner than we’d like – its time to think about ways to keep ourselves warm and cozy this winter. No doubt most of us have dug out our winter woollies and extra blankets by now and the heater has probably already had a good work out on these chilly autumn nights. 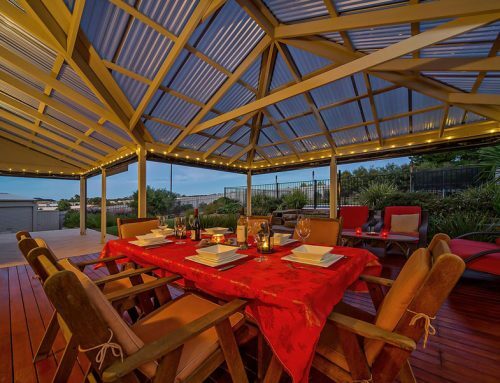 With outdoor entertaining so popular in Adelaide these days – why shouldn’t we make the most of our outdoor areas all year round? Right now there are so many outdoor heating options to choose from that there is definitely no excuse to stay indoors this winter! There is now an outdoor heating solution to suit every lifestyle – whatever you budget. 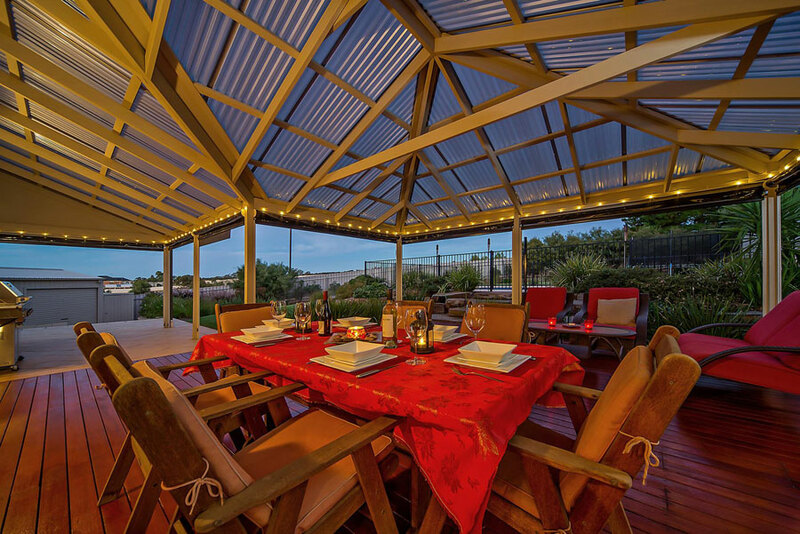 Weather you have a fully enclosed alfresco area, a pergola, verandah or gazebo – open, enclosed, semi-enclosed or even just an open area in your yard… there is a heating option for you! 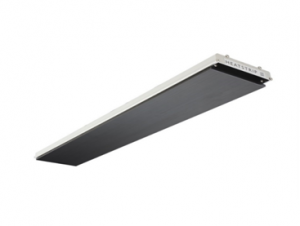 Electric Radiant Heaters are slimline and stylish and are ideal for protected outdoor and indoor heating areas like your alfresco and outdoor dining area, patio, pergola or verandah. DIY installation is easy with multiple mounting options. These heaters provide energy efficient, gentle warmth and significant running cost savings compared to bottled gas heaters. 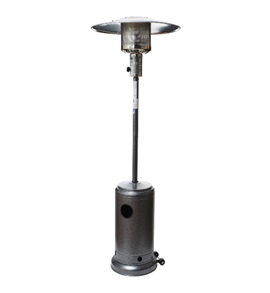 Outdoor Gas Heaters are a functional, weather resistant and portable outdoor heating option suitable for open pergolas and verandah areas. They are easy to operate with a push button ignition system and heat setting knob to adjust the temperature and a safety valve ensures your family is always protected. There are many styles, colours and sizes to choose from too! 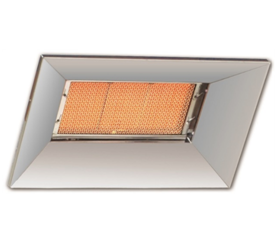 Wall Mounted Gas Heaters like this feature powerful ceramic burners and is perfect for alfresco areas, pergolas and verandahs – open or enclosed. It includes wall mount brackets, a flame safeguard system to ensure safety and manual ignition for easy lighting. Australian Gas Association (AGA) approved this heater must be connected by a qualified gas fitter. An Electric Heater on a stand is a convenient option for easy relocation and storage when not in use. 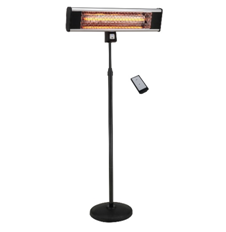 This type of heater can be used just about anywhere including pergolas and verandahs – open and enclosed areas. 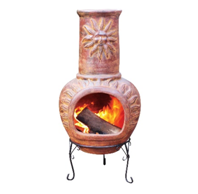 There are many variations to choose from, however this style of heater is not weatherproof. 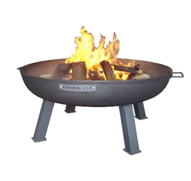 Fire Pits and Chimeneas are a functional and decorative heating option, adding warmth, character and ambience to your open outdoor area. There are many variations to choose from. Just make sure you have at least 2 metres clearance around and above your fire pit and be aware of fire restrictions in your area. And don’t forget the marshmallows! 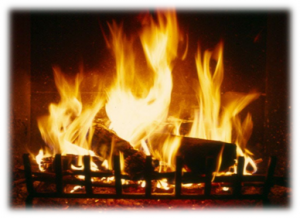 What ever you prefer – gas, electric or wood – with prices starting from around $80.00 there is sure to be an outdoor heating solution to suit your individual needs. Why not check out your local outdoor/garden centre, Bunnings, Heatworks, Barbeques Galore or other heating retailer this weekend… or shop online if its too cold! And don’t forget to call Pro-Form Pergolas Adelaide for a new Pergola, Verandah, Carport or Decking to go with your new heater! Call 8258 9117 for your FREE QUOTE!